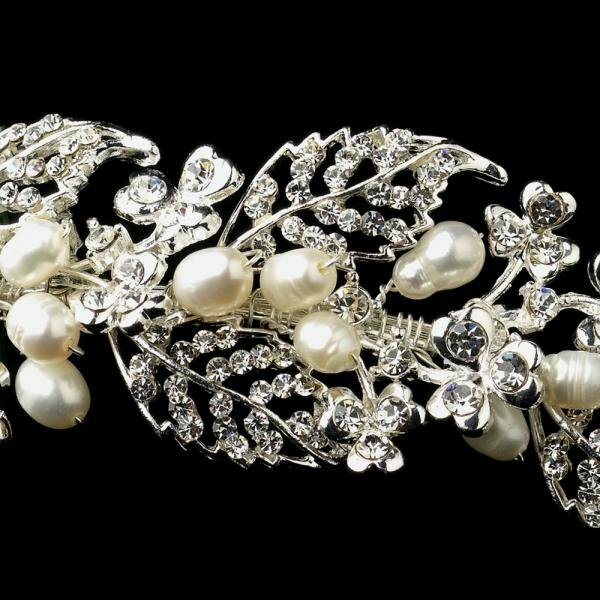 A lovely bridal headpiece featuring sparkling rhinestone leaves in a vine design with freshwater pearl accents. This would be a lovely piece for brides who are are getting married in a winery or vineyard, this piece will tie in with the theme perfectly. 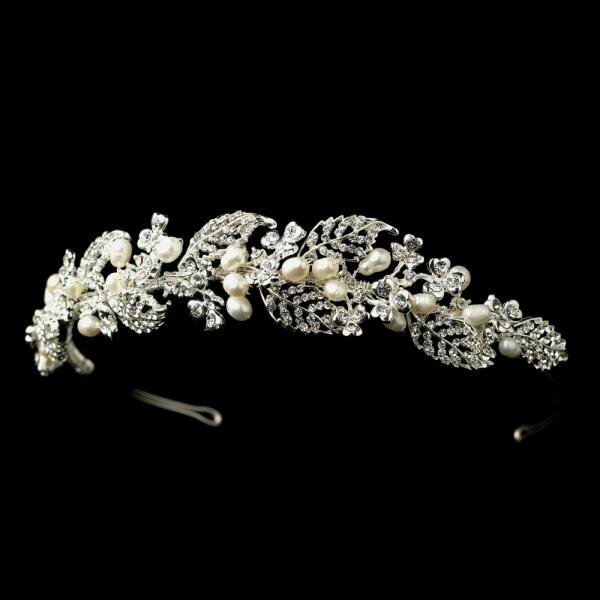 Best suited to an ivory wedding gown.